Kentucky State Rep. Adam Koenig, a Republican, introduced House Bill 175 on Tuesday. The legislation comes despite a Republican administration in the White House opposing states’ rights when it comes to regulating online gambling. Fourteen other Kentucky lawmakers are sponsoring the legislation with Koenig. The legislation sits with a House committee and hasn’t had a hearing yet. Online poker in casino-less Kentucky would be under the control of the Kentucky Lottery, which would provide oversight on online poker companies it contracts with. The bill wouldn’t allow live poker rooms. “The [Kentucky Lottery] corporation shall conduct and administer lottery and online poker games which will result in maximization of revenues to the Commonwealth of Kentucky while at the same time provide entertainment to its citizens,” read a section of the legislation. Under the bill, the Kentucky Lottery could set limits on the amount wagered in a poker game, but it would not be required to do so. Poker games would be for those 18 years of age or older. The legislation calls for the Kentucky Lottery to implement geolocation regulations for online poker, as well as age verification safeguards. Net online poker revenue would be taxed at a rate of 6.75%. Kentucky launching online poker platforms could be a boost for the struggling vertical. Regulated real-money online poker is up and running in only Nevada, Delaware, and New Jersey, and those states share players. Even with the liquidity sharing, online poker is contracting in New Jersey and showing no signs of growth in Nevada. Delaware’s market is relatively negligible. Pennsylvania is moving toward launching online casino games, including peer-to-peer poker games. However, with the new Wire Act interpretation, Pennsylvania joining a multi-state player pool remains a question mark. Michigan almost legalized online poker last year and will try its hand again in 2019. West Virginia is also home to a bill for online poker games. Same goes for New York. The Kentucky online poker bill doesn’t call for online poker player sharing. Kentucky’s relatively small population of more than 4.4 million could create some challenges for an internet card-playing market. Koenig’s legislation joins a few other House proposals for sports betting. There’s also a plan in the Senate. Under HB 175, Kentucky racetracks and sports venues could receive licenses for sports wagering. Online platforms would be allowed, but gamblers would have to create accounts in person, rather than remotely. Unlike the lottery’s control of online poker, sports betting would be under the regulation of the Kentucky Horse Racing Commission. A sports betting license from it would cost $1 million. The tax rate would depend on where the bet took place. The bill calls for a 10.25% tax for retail sports wagering and a 14.25% tax on internet sports betting revenue. 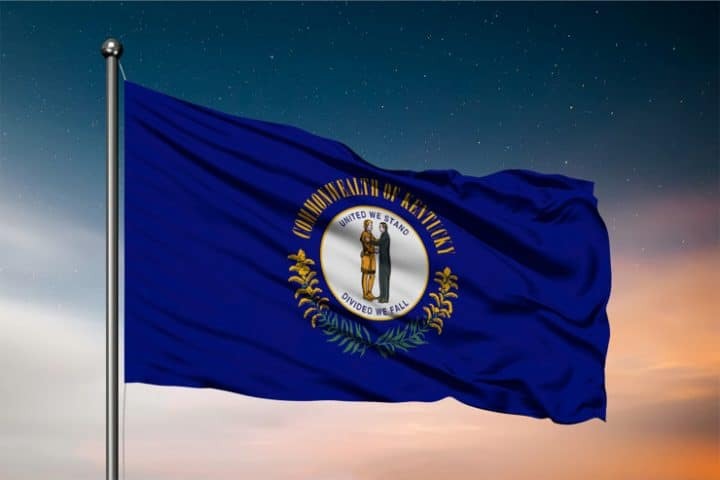 The 2019 Kentucky legislative session ends March 29.